Gratitude is a personal quality. It’s also a condition of the heart. While many may desire to have a thankful heart, it can be difficult to walk and live this way for more than a few days. This is why it’s important to learn how to cultivate a spirit of gratitude in your life. The Bible presents gratitude as a gateway to blessing, a way to keep oneself in line with God through humility, and a posture to walk in daily as a daughter of the King of kings. It helps us to focus on the things of God and to take our focus outside of ourselves. This thankfulness transforms our thinking, surroundings, and lives. Gratitude can make you more resilient, more optimistic, and kinder. It helps you achieve your goals, makes you healthier, and helps you sleep better. In the midst of suffering or hardship, gratitude changes your perspective and helps you to make it through. Thankfulness in all things causes your heart to be strengthened and encouraged. Still we must be honest, you don’t just wake up thankful. You have to take steps to have a spirit of gratitude in your life. Everyday you have an opportunity to establish an environment around you that affects your inward disposition. As you advance throughout your day, your inward perspective will affect your outward experience. This is why it’s important to cultivate your space. You get to determine what your life will be like by the choices you make. On a regular basis, you should be logging what you are thankful for. Take a few minutes everyday to list at least 3 things. This journal is a place to house your thoughts and feelings, but it can also serve as a log to reflect on later. There may be times when you need to remind yourself of your previous blessings, and this will help you in those moments. This seems minute, but trust me, it’s not. You may not realize it, but we often forget to say thank you for the little things, and this hurts us. It causes our hearts to develop a sense of entitlement in a bad way. When you say thank you continually, you begin to realize how much is given to you from outside of yourself. You’ll also begin to realize how much people care for you and what God has blessed you with. Start this practice by saying thank you to God for waking you up in the morning. Before your feet hit the ground, you grab your phone, or even hug your husband, say thank you to our Heavenly Father for his gift of life-giving breath and another day. When you go to God in prayer, remember to thank Him for all He has done. This will immediately change the disposition of your heart and allow you to be more open to hearing His voice. Take sometime to be in that space of gratitude toward the Lord for a moment. This pleases Him greatly and benefits you as well. Don’t you love being in conversations with people who show appreciation for you? God looks forward to talking with us all of the time, but can you imagine how it makes His heart smile to hear you say thank you for what He has already done for you? This is a hard one that we all struggle with, but it’s something that we must each practice. Complaining generates a disgust within us that makes us angry and bitter. It makes it hard for us to see anything good because we are focused on the negative and ourselves. When we complain, we are not simply speaking on our dissatisfaction, but turning our hearts toward unthankfulness. You’re not thankful for what you’re complaining about. Staying in this place effects you, your environment, your relationships, and your health. You have to be able to speak on what’s wrong, what could be better, and what bothers you. Once it is stated, move out of that space and check your heart. Figure out a way to give thanks to God in the middle of your situation. 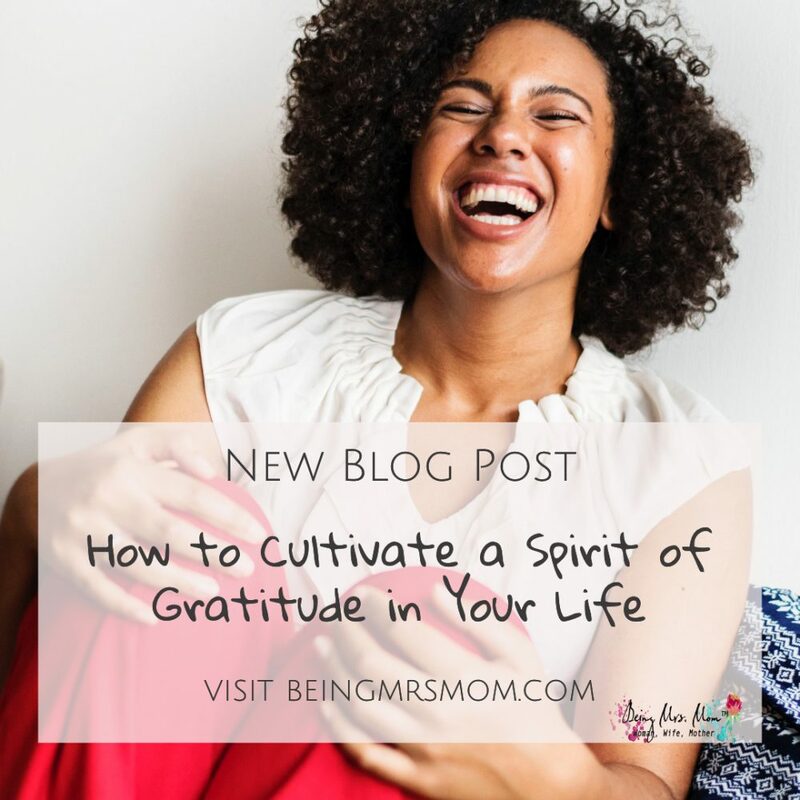 There are other ways to cultivate a spirit of gratitude, but I don’t want to overwhelm you. It can be hard to do these things in this day and age. Our society and culture do not encourage gratitude, so starting small is important. Make a commitment today that you will live and walk in the spirit of gratitude. When will you start your gratitude journal? How can you work on not complaining? 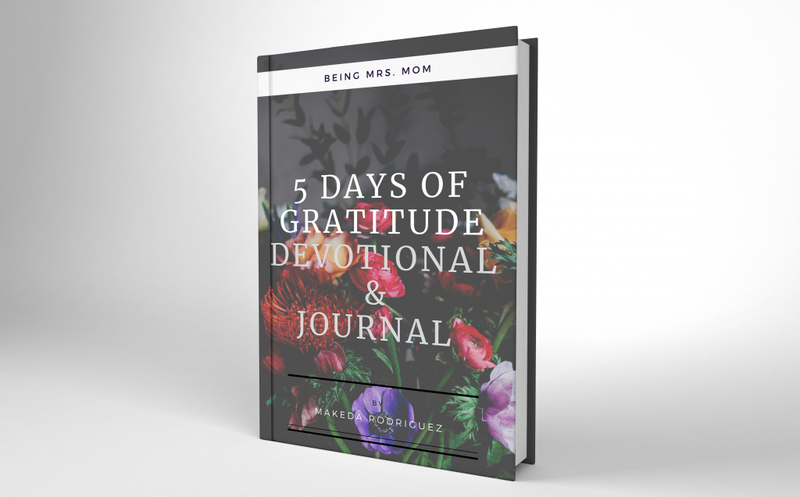 If you need help with these things, send me an email, post a comment, and/or purchase my 5 day Gratitude Devotional and Journal. Make time to position your heart and direct your thoughts, so that your spirit can flourish in a healthy environment.